If the proverb Dreaming is the best meditation is true, it is very important to properly choose where to sleep, in order to enjoy nice and peaceful dreams. 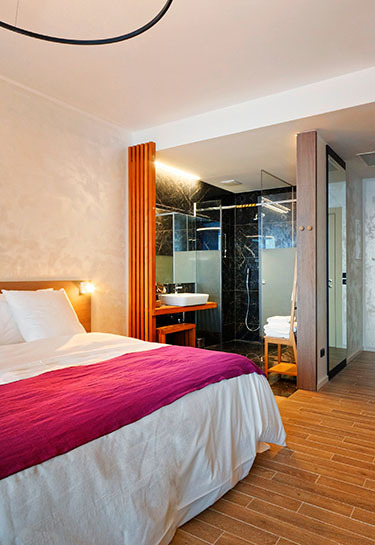 At the Ola Hotel, we wish to provide you with a comfortable and relaxing sleep. Therefore, we dedicate special attention to choosing top-quality, eco-labelled mattresses, pillows and duvets. 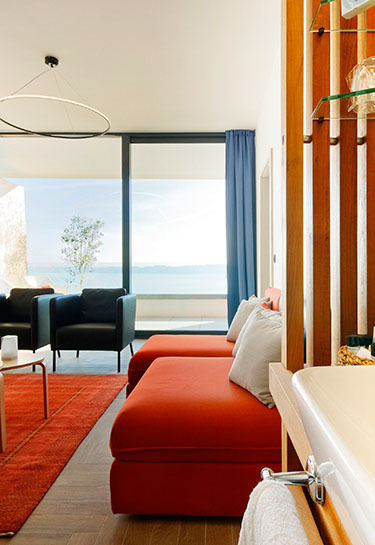 Ola Hotel has fifty rooms in total (wellness rooms, superior rooms and suites), all of them offering a wonderful view of the Adriatic Sea. This will be the first sight that you will see from your bed in the morning, making the overall experience truly invaluable. If you wish to enjoy the view even more, all you need to do is to step out to the balcony and relax, with a cup or glass of your favorite drink in hand, looking at sailing boats and small fishing vessels. 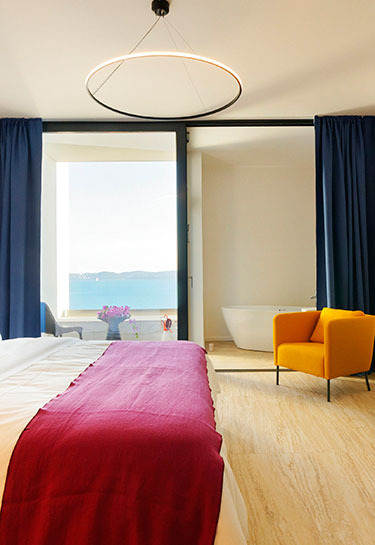 In addition to offering a breathtaking view, all rooms of the Ola Hotel are equipped with top-quality Swiss ELITE hotel mattresses, marked with EU Ecolabel guaranteeing a proper rest.